The space experience race is on. I have always wanted to go into space. It could happen sooner than we think. All I need is the money. According to the Space Tourism Society, billionaires such as Paul Allen, Jeff Bezos, and Sir Richard Branson are spending hundreds of millions of dollars building space enterprise/tourism companies. Millions of government dollars are supporting these efforts as international competition for space business prestige and profit heats up. The U.S. federal government in particular is pushing the entry of private companies into the space launch business, intending soon to rely on private companies for most space access. For those of you wanting to be a space tourist, or wanting to work in the business, the Space Tourism Society is hosting Space Tourism 2011 (ST11) on April 28, 2011. This international annual event will bring together leaders in many fields involved in building the space enterprise/tourism industry and creating the orbital lifestyle as well as new participants seeking business, marketing, and investment opportunities and exciting space careers. There are a number of companies already selling seats on their rocketplanes. You can read more about these on MSNBC and Popular Science. Our favorites for personal access so far are Virgin Galactic‘s SpaceShipTwo and XCOR’s Lynx. Virgin Galactic is pricey, charging $200,000 per passenger, but they already have $30 billion in pre-bookings from over 200 people. 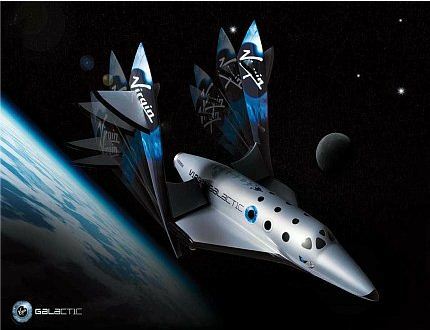 SpaceShipTwo plans to take you on a 2.5 hour trip with 6 minutes of complete weightlessness. They are currently running tests and plan to start taking ticketed passengers in 2012 . 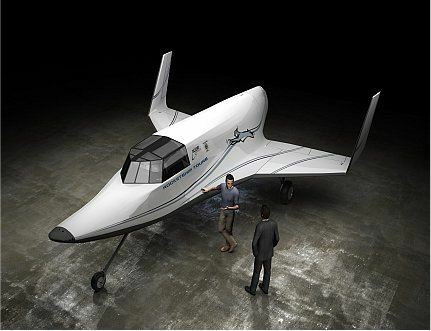 XCOR‘s Lynx rocketplane is planning commercial rides starting this year for only $95,000. It reaches 60 miles in 30 minutes and travelers achieve weightlessness during the 4 minute apogee. The Lynx has only 2 seats, so you get to sit shotgun next to the pilot every time. XCOR has established a commercial relationship with an entity named Space Experience Curacao (SXC). In November 2010 SXC linked up with KLM Royal Dutch Airlines. KLM plans to offer vacation packages to Curacao (in the “Netherlands Antilles” in the Caribbean) and from there into space aboard an XCOR Lynx spaceship. Both of the XCOR and Virgin Galactic rocketplanes currently launch from Mojave Spaceport in California, but Virgin will move eventually to their Spaceport America now being built in New Mexico and they also have plans for Sweden. “Eventually there will be a price war,” according to Doug Graham, former spokesman for XCOR. “The market is going to decide if floating around demands a premium over a front row seat.” He may be comparing the XCOR seat next to the pilot to primary competitor Virgin Galactic, where passengers will sit in the cabin, but the same comment could easily be directed at the more complex and costly space tourism goal of placing people in orbit. Space Adventures, based in Virginia, is the one company offering the true astronaut experience complete with training. Space Adventures flies private-pay passengers on Russian Soyuz spacecraft to the International Space Station, and for the trip they charge over $20 million. If you ask us, $20 million is steep, though you do get an extended stay in orbit. However, if space hotel dreamers like Bigelow Aerospace succeed with their inflatable space station-like modules, cheaper accomodations in space may become available. Bigelow is currently testing its inflatable module Genesis II in orbit while the more advanced module called Sundancer is scheduled for launch and testing in 2014. NASA too is looking into adding a Bigelow module to the International Space Station. The Dragon spacecraft is scheduled to fly at least 11 more times and the Falcon 9 launch vehicle is scheduled to fly 17 times before the first Dragon crew flight. Given the extensive manifest of Falcon 9 and Dragon, the SpaceX system will mature before most other systems will be developed. The inaugural flight of the Dragon spacecraft confirmed what we have always believed—the responsiveness and ingenuity of the private sector, combined with the guidance, support and insight of the US government, can deliver an American spaceflight program that is achievable, sustainable and affordable. The SpaceX team is excited about the new opportunities and challenges the New Year will bring. To sum up, wider access to space, including for you and me if we have the money, is coming. Companies like Virgin Galactic, are already pre-selling seats. It is likely that they, and others, will succeed and through efficiency and competition bring down the prices. A few more years and it might be affordable for everyone. Does this differ from the Space Tourism Symposium 2011 coming up on April 28? Thank you for pointing that out. Before we wrote this article, they had changed the event information and sent a press release with the event date of October 4, 2011. Since then, the event date has been returned to April 28 and we have updated our article and link to reflect the changes. Here is the updated link to the event. We appreciated your comments and adjusted the blog entry to account for them, updating the suborbital altitude reached by the Lynx, and re-mixing the comment by your former spokesperson to reflect your more accurate reflection of what he was likely referring to. We wish XCOR the best, and look forward to hearing about Lynx flights this year. We were pleased to read your article this morning about Space Tourism. http://www.futurist.com/2011/01/19/space-tourism-2011/ However, there are some factual errors and out of date information regarding XCOR Aerospace. The production version of the lynx that will carry space tourists will have a peak altitude of 60 miles, not 38 miles. 38 miles refers to the first test article, which will not be used for revenue flights. The article’s inference of Space Adventures being the primary competitor in the suborbital market is incorrect, as it rightly states that SA is primarily involved with the orbital market at this time, and XCOR’s initial focus is on suborbital. The Lynx is a suborbital spacecraft and its closest competitor at the moment is Virgin Galactic’s SpaceShipTwo. Doug’s quote refers to the fact that our ride is more of a ‘fighter jet’ experience, as you sit as the sole participant in the with the pilot, whereas Virgin is offering more of a multi-participant first class cabin approach. The two approaches focus on different aspects of the experience, and as such the market will determine the popularity of either experience.